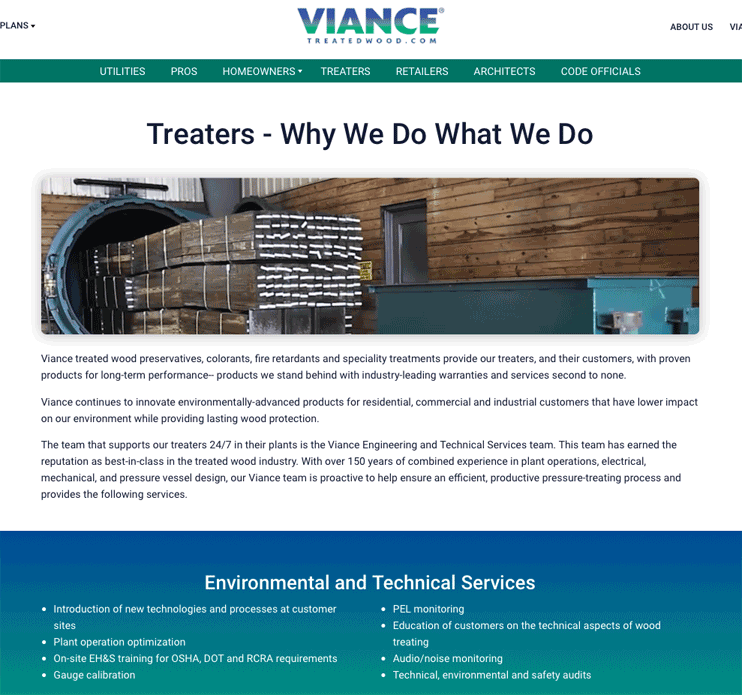 Charlotte, N.C. (December 4, 2018) –Viance, a leading provider of wood treatment preservatives has unveiled a completely redesigned and rebranded website at treatedwood.com. The new Viance logo characterizes the website’s colorful, but uncluttered, simplified design. 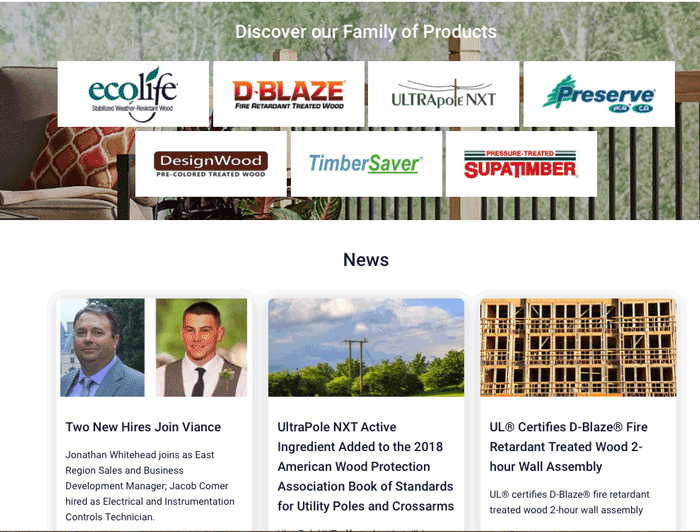 Offering enhanced content for all our audiences, treatedwood.com has new engagement tools that include the Wood Chat blog, the Deck Design Visualizer, project plans, educational videos, and the where-to-buy dealer locator. The redesign with added functionality makes navigation easier to find the information important to our varied audiences. “The new redesign of our logo and website exemplifies the momentum Viance has in delivering our customers new, environmentally-advanced products with the latest news and important information they seek. A more modern and proactive website that anticipates our customers’ needs, keeps us relevant to them.” said John Huss, President of Viance. We invite you to visit our site at treatedwood.com. 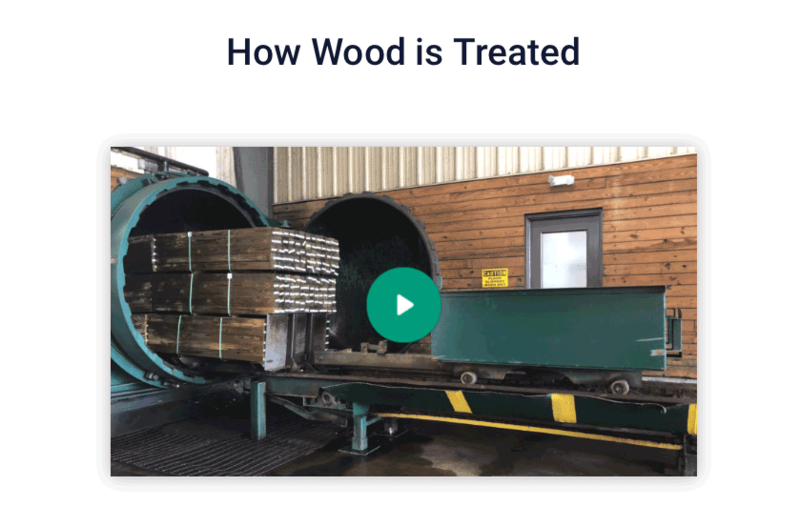 Viance, a leading provider of wood treatment preservatives, offers an extensive range of advanced wood treatment technologies and services to the global wood preservation industry. With expertise in wood biocides and wood protection chemicals, Viance raises the benchmark in the development of advanced building material solutions that improve the performance and durability of wood products for sustainable building. Viance is a joint venture of DowDupont™ Inc. and Venator™ Chemicals LLC.